Steve Rogers, the original Captain America has been robbed of the super soldier serum and now looks his age - 90 years his age! Rogers cannot hold his shield and go into battle for good and now has to advise the next Captain America. Enter Sam Wilson, The Falcon. Wilson has acted more as partner to Captain America rather than a sidekick and now he will not only carry the iconic shield but will also have his trusty flying wings becoming a force for good to be reckoned with! A new chapter begins in ALL-NEW CAPTAIN AMERICA #1 by Rick Remender and Stuart Immonen. 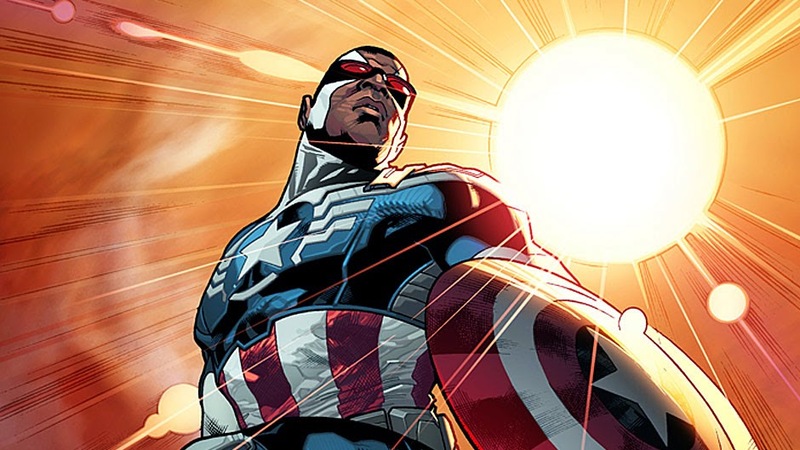 Read more about the new Captain America in Marvel NOW!